Virtually every major medical advance of the last century has relied on animal research. The knowledge gained through such research has led to the ability to treat, prevent or eradicate diseases that once killed millions of people every year. Animal research has also resulted in many lifesaving treatments and therapies for pets and farm animals. 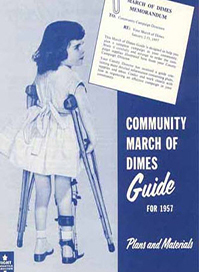 One example of the type of medical advances made possible through animal research is the polio vaccine and other vaccines preventing devastating childhood diseases. These vaccines would not have been possible without testing in laboratory animals. 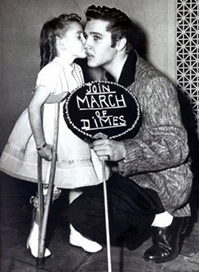 At its peak in the 1950s before vaccinations became available, polio paralyzed or killed an estimated half a million people a year. Today, polio has been virtually eradicated in much of the world. When studying human diseases, nonhuman primates provide one of the best animal models. Humans and monkeys bear a close genetic relationship, reflected in many anatomical, behavioral, developmental, physiological, and reproductive similarities. Monkeys in breeding colonies can live well past their normal lifespan in the wild, providing opportunities for research on aging-related diseases. Because of these close similarities, nonhuman primates have played a critical role in biomedical and behavioral research. These are many examples of how research in nonhuman primates has extended our fundamental knowledge of how the human body functions in health and disease. Monkeys are susceptible to an immunodeficiency virus similar to HIV, making them ideal for the study of AIDS and potential vaccines and treatments. Similarities in the central motor pathways between monkeys and humans have led to the development of safe and effective interventions to slow the progress of Parkinson’s disease. Monkeys are the only mammalian animal model with menstrual cycles and hormonal patterns comparable to humans, providing crucial insights into fertility, pregnancy and menopause. Many serious diseases still threaten our well-being: AIDS, Alzheimer’s, cancer and Parkinson’s disease, to name a few. Research toward developing ways to treat and prevent these and other ailments involves the use of animals before the treatments are used in humans, as required by the FDA. Today more than ever, researchers understand the responsibility that comes with the privilege of working with animals. Their work involves not only a duty to provide a humane environment for their animal subjects, but to minimize the number of animals used, to make their involvement in research as comfortable as possible and to look for alternatives to their use in scientific studies whenever possible. Nonhuman primates represent only about one third of one percent of animals used in biomedical research. The California National Primate Research Center is committed to the humane care and use of animals used in research and endorses Russell and Burch’s concepts of the Three R’s. Research proposals using animals provided by the CNPRC address the Three R’s. Studies using animals require prior approval by UC Davis’s Institutional Animal Care and Use Committee (IACUC), which ensures that the project also meets all federal laws governing animal care and use. In addition, the UC Davis campus, which includes the CNPRC, is accredited by the Association for Assessment and Accreditation of Laboratory Animal Care (AAALAC), a private, nonprofit group that promotes the humane treatment of animals in science through voluntary accreditation. UC Davis is one of more than 770 research institutions and other organizations that have earned AAALAC accreditation, demonstrating its commitment to responsible animal care and use. We are dedicated to promoting a greater awareness and understanding of the Three R's among the research community and the public. Russell and Burch maintained that those involved with laboratory animal use have a moral duty to seek replacements to animal experiments whenever possible, keep the numbers of animals used at a minimum and refine procedures to lessen discomfort and stress. They also maintained that good science and animal welfare were inextricably linked. Chronic stress in research animals could result in inaccurate and misleading experimental data, further supporting their call for humane treatment. These tenets underpin most animal research policy and practice today. They have been incorporated into various U.S. and international laws and embraced by a variety of organizations around the world such as the Center for Alternatives to Animal Testing at Johns Hopkins University and the European Centre for the Validation of Alternative Methods, based in Ispra, Italy. The full text of The Principles of Humane Experimental Technique can be viewed on the Altweb site maintained by the Center for Alternatives to Animal Testing, Johns Hopkins University. The Three R’s are widely accepted today as the basic principles of good laboratory animal practice. There has been a growing awareness of the need for rigorously designed studies to ensure that such studies can be reproduced. The NIH and the CNPRC are committed to enhancing Rigor and Reproducibility. Reduction: Methods to reduce or minimize the number of animals used in experiments to acquire necessary information. The concept of reduction in animal research refers to methods that result in the use of fewer animals to obtain scientifically valid information. Reduction also can be achieved by obtaining more information from a given number of animals so that in the long run fewer animals are needed. The goal is to achieve a balance between sound experimental design and minimizing the number of animals used. When designing experiments, scientists must ensure that their sample population – whether it includes animals, people or something else – is large enough to enable them to draw meaningful conclusions from experiment results. People who conduct scientific surveys encounter a similar situation. To obtain results that accurately represent a certain population, they must survey a scientifically obtained sample that is suitably large. Surveying too small a sample, or one that is not scientifically selected, may lead to results that are not reflective of the larger group. Researchers today have a greater understanding of good experimental design and statistical methods. They also have a heightened awareness of the moral and ethical reasons for reducing animal use. The high cost of using animals in research is another incentive for minimizing the number of animals used. The rapidly developing field of bioinformatics offers opportunities for reducing animal use. Bioinformatics is an emerging, interdisciplinary field that draws on math, statistics and computer science to analyze complex biological data. Bioinformatics can be used, for example, to analyze complex experimental results from multiple sources, patient statistics and scientific literature. This fusion of biomedicine and computer technology holds promise for gleaning more information from experiments, including from studies conducted in the past, and thereby contributing to a reduction in animal use. The CNPRC realizes the value of bioinformatics to its mission and is exploring how best to use this powerful tool in its investigations. For example, bioinformatics has helped researchers mine the Center’s extensive medical records on its monkey colony, as well as those of other primate centers around the country. In a recent study involving the CNPRC, the University of Oxford, the University of Pittsburgh and other primate centers in Wisconsin and New England, researchers demonstrated that this archival information could be used to study the role of genetic and environmental factors in endometriosis in rhesus macaque monkeys. The centers possess a vast archive of information on the animals’ pedigrees and nutritional, experimental, menstrual and reproductive histories, which could be used to investigate the genetic basis of endometriosis. Since the human and monkey forms of the disease are similar, such a study could lead to a better understanding of the pathogenesis of endometriosis and identification of the best method to treat it. Research strategy can also contribute to a reduction in animal use. For example, a small pilot study, using a small number of animals, may indicate to researchers whether a larger study is appropriate. In some cases, in vitro, or test tube, experiments may indicate the feasibility of a larger study or ways a study could be modified to use fewer animals or less-invasive procedures. Each year, the CNPRC supports a number of pilot studies, which are smaller and of shorter duration than typical research projects. Pilot projects provide researchers with an opportunity to obtain preliminary data, determine the feasibility of a larger study and refine their research plan in order to pursue funding for a larger research project. Refinement refers to improved experimental techniques that eliminate or reduce animal stress and discomfort. In the world of animal research, “refinement” refers to methods to reduce possible stress or discomfort to the animals involved. It also encompasses measures to improve animals’ overall well-being and environment. For example, new technology allows researchers in many experiments to monitor or image animals’ internal organs without the need for surgery. If surgery is necessary, anesthesia combined with new and more effective sedatives and analgesics – pain-relieving drugs – minimizes animal anxiety and discomfort. One of the ways the CNPRC supports the refinement effort is through the use of state-of-the-art noninvasive imaging techniques. The CNPRC has had a long-standing commitment to using various imaging tools such as ultrasonography, which uses high-frequency sound waves to image deep structures of the body. The CNPRC, through a collaborative effort with UC Davis faculty from the College of Engineering, maintains a microPET (positron emission tomography) scanner. A microPET is similar to PET scanners used in most human medical facilities, only smaller. MicroPET imaging allows scientists to study a wide range of physiologic functions while significantly minimizing manipulation of the animal, and reduces the numbers of animals required for studies. The CNPRC also has a GE PET/CT scanner onsite, which vastly increases the ability to use imaging in experimental protocols. Such efforts follow the philosophy and guidelines outlined in 1959 by Burch and Russell, authors of The Principles of Humane Experimental Technique. Their book remains a guidepost for humane animal research to this day. Burch and Russell maintained that giving due consideration to issues of animal welfare is not just important from an ethical standpoint, but also a matter of good science. Proper care of research animals is critical to good experimental design. Refinement also applies to developing humane “endpoints” for experiments. An endpoint is the point at which a test or experiment is considered complete. Medical technologies such as magnetic resonance imaging and computer-aided tomography allow scientists to detect tumor growth and organ deterioration early on and to gather other information from an experiment without requiring the animal to progress to later stages of disease. This reduces suffering and can lower the number of animals needed for certain types of tests. Burch and Russell believed that humane care and treatment of animals used in research extends beyond their involvement in experiments. Refinement applies to all aspects of the life of a laboratory animal. This includes providing housing appropriate for a particular animal species and applying techniques for enriching their environment to enhance psychological well-being and promote natural behavior. For example, tree-dwelling monkeys in captivity typically would be housed in a cage containing multiple perches and allowing vertical movement. To accommodate monkeys’ highly social nature, animal care staff house monkeys with a partner or in a group whenever possible. Creative measures are also taken to try to simulate monkeys’ natural foraging behavior. Animal care staff members have fashioned a number of ingenious devices, such as foraging boards and puzzle balls, which require the animals to extract their food from rows of cavities in a plastic board or through holes in a plastic ball. The activity requires dexterity and concentration and prolongs the time spent feeding. The CNPRC employs a comprehensive approach to animal care, recognizing that an important component of animal health is psychological well-being in addition to proper nutrition, sanitation and veterinary care. Behavioral management is also an inherent part of the Center’s Animal Care Program, which focuses on social companionship and environmental enrichment to enhance the monkeys’ quality of life. Replacement refers to methods that allow a research goal to be achieved without conducting experiments on animals. Advances in technology have given scientists a number of alternatives to using animals in some kinds of research. Use of tissue cultures and computer models are examples of alternatives that may, in some research studies, replace the need for animals. Replacement is one of the triad of alternatives to animal research first recognized by William Russell and Rex Burch in their 1959 book “The Principles of Humane Experimental Technique.” They believed that researchers have a duty to replace animal tests with other kinds of tests whenever possible. An example of a common animal test that has been replaced with new technology is the so-called “rabbit test,” an early form of pregnancy test. In the early 1920s, scientists discovered that a woman produces a hormone, called human chorionic gonadotropin (hCG), soon after becoming pregnant. They also found that rabbits injected with this hormone displayed distinct changes in their ovaries, and thus the “rabbit test” was born. In the early tests, the rabbits were euthanized so their ovaries could be examined; later refinements to the test enabled the rabbits’ lives to be spared. While modern pregnancy tests are still based on measuring hCG, it is now done directly, using either the woman’s blood or urine. A simple biochemical test has eliminated the need for animal testing. Russell and Burch distinguished between relative replacement – the use of animals to provide cells, tissue or organs for in vitro, or test tube studies – and absolute replacement in which animals are not needed at all. For example, studies using tissue cultures still typically require a biopsy or the euthanization of an animal to produce the tissue material. However, a single animal can provide tissue for a number of cultures. In some cases, lower organisms, such as invertebrates, plants and microorganisms, can substitute for research using vertebrates. In other cases, in silico testing – the use of computer models or simulations to replace physical experiments – can potentially replace some forms of animal research. Replacement sometimes can occur simply from increased access to information. To ensure that research studies do not duplicate previous work, the CNPRC and UC Davis require that researchers proposing to do a study involving animals conduct a thorough literature search before they will approve the project. Sometimes partial replacement is possible. For example, a combination of alternative methods can be used to pre-screen substances for toxicity. If preliminary tests show the substance is toxic, it need not be tested on an animal. Only a negative result would necessitate additional testing using animals. However, it is extremely difficult to replace all animal research with alternative methods. To solve complex problems in medicine, researchers need access to all the tools of modern science, including the use of animal models when in vitro and in silico methods will not suffice. Since many types of biomedical research cannot be conducted on humans for ethical, moral and legal reasons, animals are irreplaceable for understanding disease processes and for testing new drugs, surgical methods and other treatments that benefit not just humans but other animals as well.